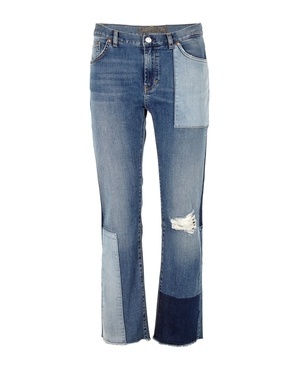 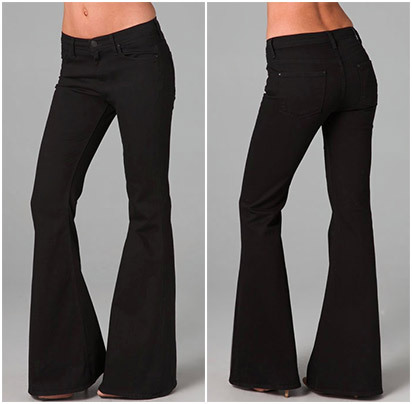 High rise fitted bell bottom jeans with a multi-button closure. 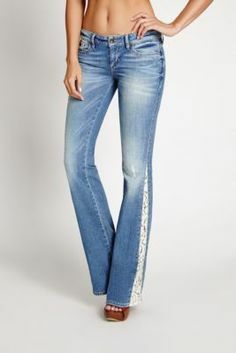 Traditional 5-pocket jeans made of comfortable and super stretchy jegging material. 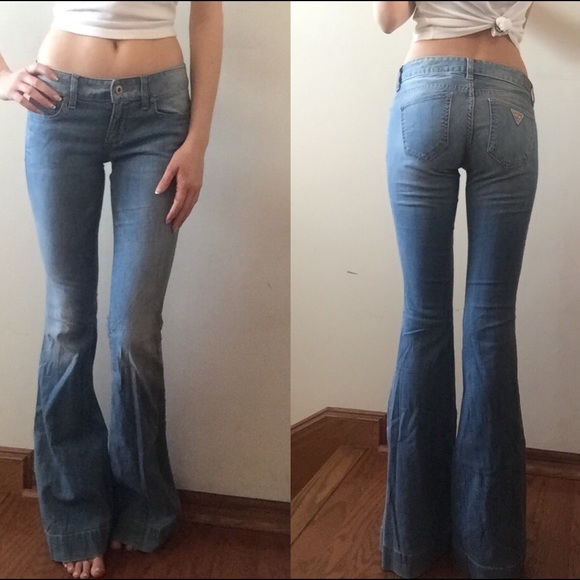 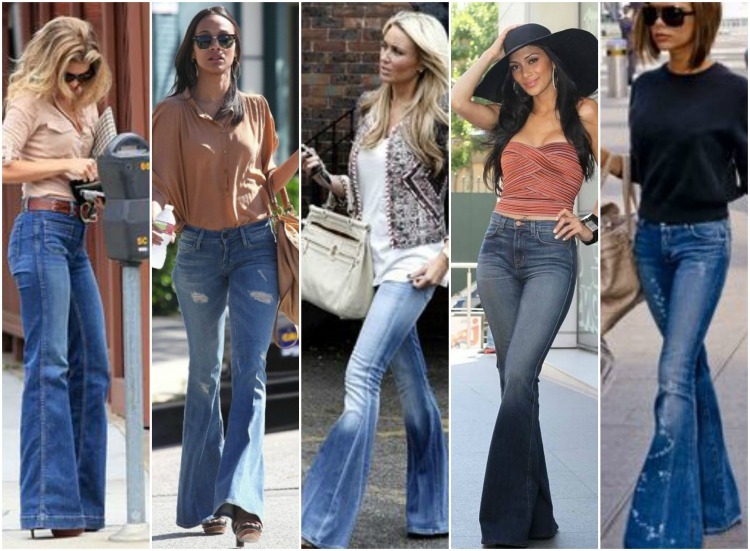 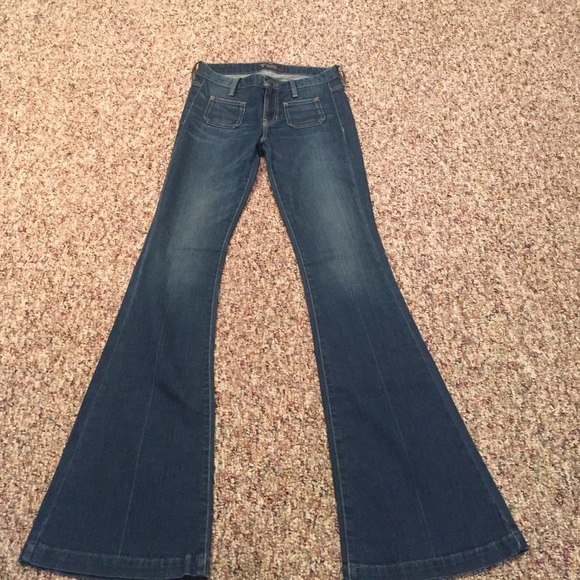 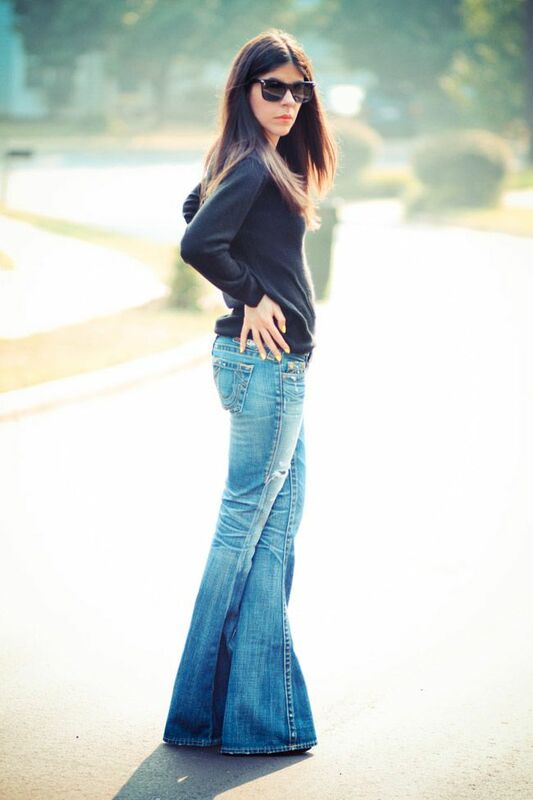 Gotta love bell bottoms. 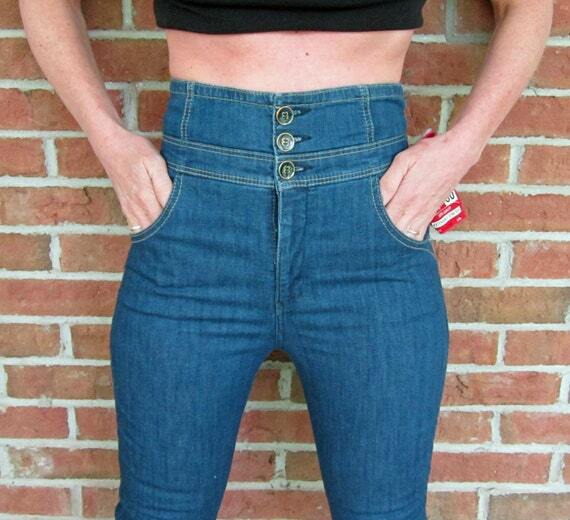 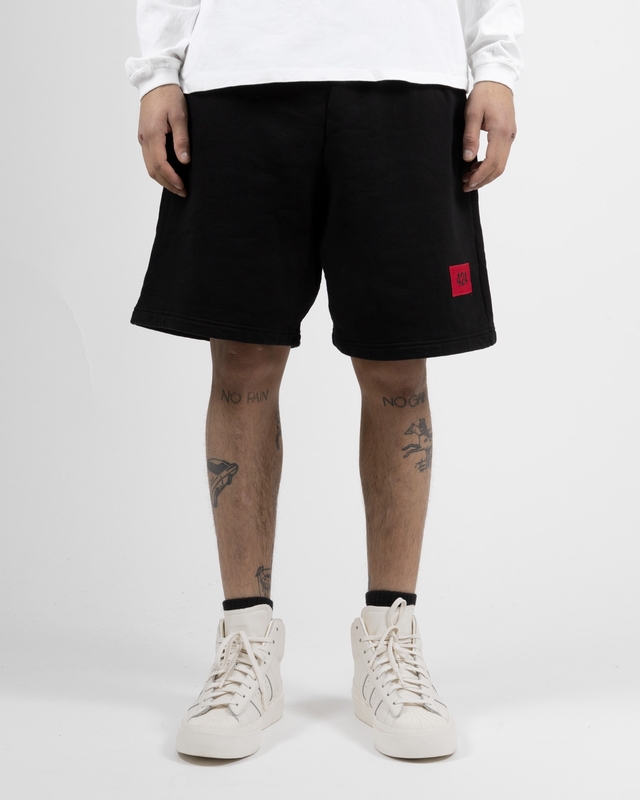 Also the slightly high waist.